The Model 1210 is MERV 11. Compare this to a standard 1″ air filter, which is only MERV 4. (MERV is a scale used to measure the effectiveness of air filters). With the Aprilaire Model 1210 Air Purifier, you don’t just treat poor indoor air quality — you remove the problem altogether. Find a dealer near you to discuss your family’s specific needs today, or get replacement parts for your Model 1210 here. 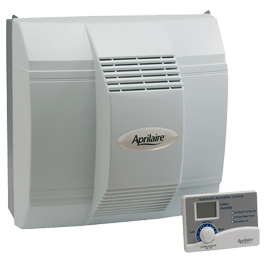 The Aprilaire Model 1210 Air Purifier provides highly efficient, whole-home air cleaning and effective removal of pollen and mold. Compare this to a standard 1″ air filter, which isn’t an air purifier, and doesn’t do any of these things.